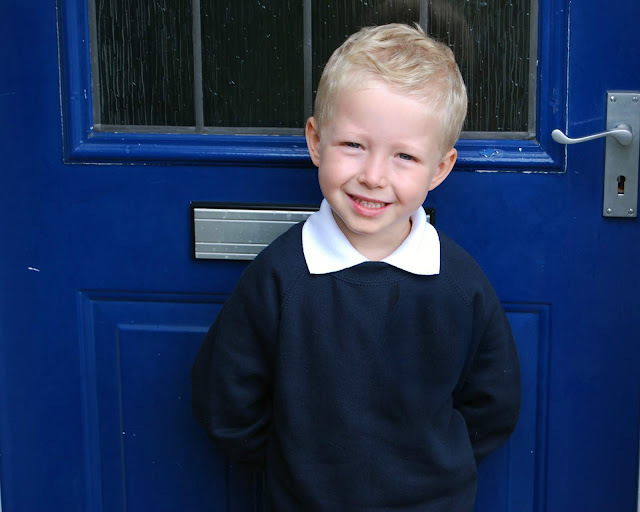 Noah started school last week and it's been such an emotional rollercoaster, for both of us. I'm still struggling to comprehend how four and a half years can fly by so quickly? It doesn't feel that long ago that I was writing his birth story or his nursery updates and now he's at school! It's crazy to think that he'll graduate high school in 2030! He's been at school for a week now, starting with two half days but now in full time. He's taken the transition pretty well but he cries when I drop him off. He tries so much to hold back the tears but it's something he's always struggled with, that initial goodbye. I'm sure he'll overcome it in his own time, just like he did when he was at nursery. Crying aside, he's really enjoying it! More than half his class are from nursery, so he's surrounded by lots of friends. His older cousin is also at the same school so he makes sure to give Noah a big cuddle every lunch time. I'm so proud of him and can't wait to see him flourish whilst at school. Oral Family History :- Two brothers close in age. When the oldest started primary school, the younger one followed him. Only to be escorted back home each day. Till adults in authority decided:- He may as well stay, as not long till he would officially be eligible to register and start his education. He had naturally been used to spending his days with his big brother.